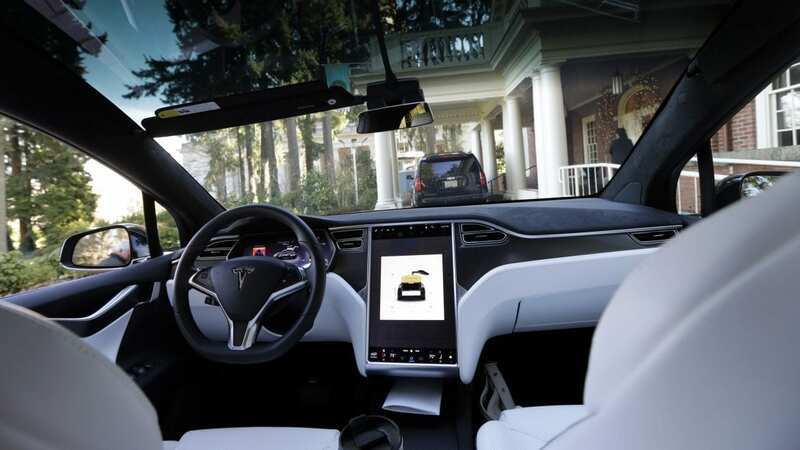 National Transportation Safety Board investigators say the driver of a Tesla using autopilot did not have his hands on the steering wheel in the moments before a fatal crash in the Silicon Valley area of Northern California in March. Investigators also found that the Tesla was accelerating, with the cruise control engaged, when it crashed into a highway barrier. Walter Huang, the 38-year old driver, was killed. The NTSB’s preliminary report on the crash of a Tesla Model X on U.S. Highway 101 in the bay area suburb of Mountain View, Calif., indicates that Huang had the vehicle in it’s semi-autonomous autopilot mode for nearly 19 minutes before the crash. That mode is designed to help keep a car in its lane and adjusts its speed based on surrounding traffic. Huang also had the Tesla’s cruise control set at 75 miles per hour, but the car was traveling slower than that because of another vehicle in front of it. But once the autopilot mode sensed that vehicle no longer was in front of the car, the Tesla began accelerating, and continued speeding up until impact near the exit to State Highway 85. The triangular gore area is marked by white lines to show the divide between the exit ramp and the thru lanes on the highway, but the Tesla sped through the gore area and slammed head-on into a previously damaged crash attenuator at the end of a concrete median barrier, at a speed of about 71 mph. After hitting the attenuator, the Tesla hit two other cars. Passersby pulled Huang from the wreckage moments before the vehicle burst into flames, but he later died from his injuries at a hospital. The NTSB report notes some other significant details about the vehicle and how fast it was going. Eight seconds before impact, the Tesla was going 65 MPH as it followed another vehicle. Seven seconds before impact, the Tesla began “a left steering movement,” meaning it veered to the left. Four seconds before the crash, the Tesla no longer detected a vehicle in front of it, and with the cruise control engaged and set at 75 mph, it began speeding up, from 62 mph three seconds before impact to 70.8 mph at the time of impact. In the days after the crash, Huang’s wife Savonne said her husband had complained about the system not working properly near the area where the crash occurred. Questions have been raised about the Tesla autopilot system’s ability to detect stopped or stationary objects in other crashes. In January, a Tesla Model S that may have been on autopilot hit a parked firetruck on Interstate 405 near Los Angeles. And last month, a Tesla Model S in autopilot mode hit a stopped fire department vehicle in Salt Lake City. The driver in the second incident told authorities she thought Tesla’s emergency braking system would stop the car to avert a collision. According to the Associated Press, Tesla says it’s vehicles and systems are not to blame; the drivers are. A Tesla spokeswoman pointed to passages in the company’s owner’s manual that warn that automatic emergency braking may not work all the time, and won’t save the driver from an accident. The preliminary NTSB report released today does not assign blame for the crash, and officials say it may take a year or longer to determine the probable cause. NTSB spokesman Christopher O’Neil told the AP Thursday that, among other factors, investigators are trying to determine how the car’s camera, radar and ultrasonic sensors were working and what they were tracking.